Kinstler, Linda. "The Times of London, navigating audience with a strict paywall, retires its opinion Tumblr." Nieman Journalism Lab. Nieman Foundation for Journalism at Harvard, 18 Jun. 2013. Web. 23 Apr. 2019. Kinstler, Linda. "The Times of London, navigating audience with a strict paywall, retires its opinion Tumblr." Nieman Journalism Lab. Last modified June 18, 2013. 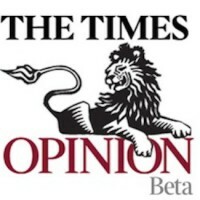 Accessed April 23, 2019. https://www.niemanlab.org/2013/06/the-times-of-london-navigating-audience-with-a-strict-paywall-retires-its-opinion-tumblr/.